Nope, that wasn’t the view from my room. 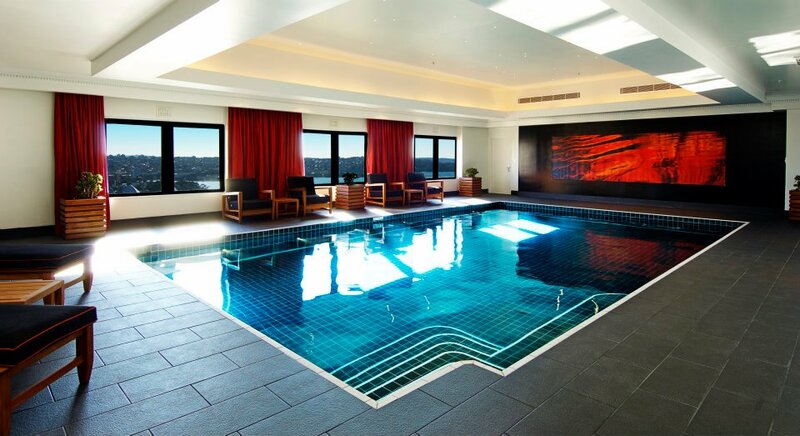 I took this picture from the swimming pool at InterContinental Sydney. My room was facing city side and an upgrade to harbour view would have been 500AUD per night extra! 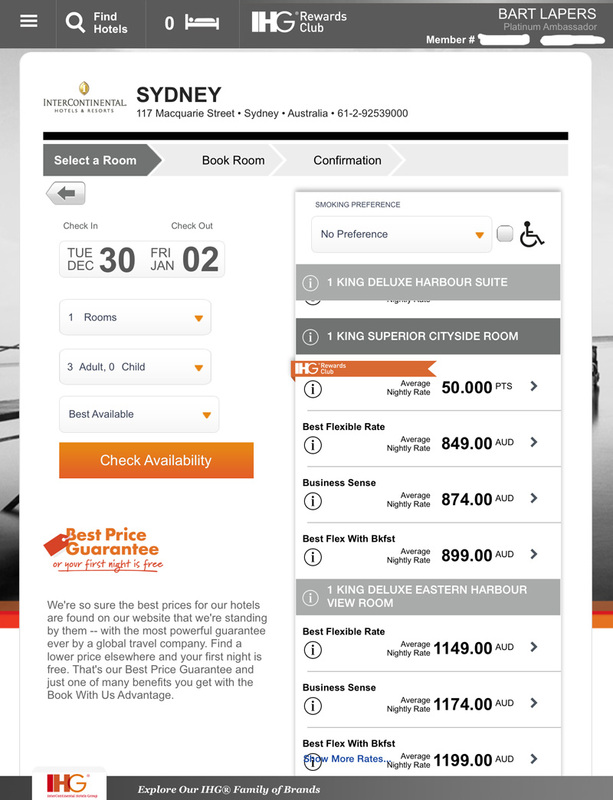 Add another 1000AUD per night if you wanted Club Lounge access. Yup, New Year’s Eve prices are insane. I started the last day of 2014 with a morning run at the fantastic Royal Botanic Gardens. The complete park was fenced off to ensure a safe New Year’s Eve celebration, but to my surprise, a security guard invited me in to enjoy my run in the park. Only a few other joggers were present in the park, which made enjoying its beauty a unique experience! When celebrating New Year’s Eve in Sydney, you want to watch the fireworks up-close. But you’re not alone, hundreds of thousands of spectators gather around the harbour with the same purpose. So what would be the best strategy to secure a good spot? After some research, I learned people started lining-up at the public viewing spots as early as 7am! After my 9 hour wait in the blistering cold on Times Square in 2010, I didn’t feel like a 16 hour tanning session at Sydney harbour. With a group of friends, it could be fun, but as I was traveling solo, I wanted a different solution. First alternative, buy a ticket for one of the vantage point parties. NYE Under the Stars was selling tickets at 395AUD (€277) to sit on the lawn. Park Hyatt Sydney charged 595AUD (€418) for their Rooftop Cocktail Party with limited Sydney Harbour Bridge views. After a few hours of reading blogs and forums, I learned the best opportunity was hiding in plain sight: Sydney Opera House! Turned out they were still selling tickets for their New Year’s Opera Gala Concert mid December. I ordered the cheapest ticket in the house (Choir row 2!) at 264AUD (€181). The ticket would give me access to the Opera Gala performance with a 9pm break to see the “family fireworks” and allow me to see the midnight fireworks from the Southern Foyers. The Opera’s Midnight Party, which required an additional ticket, was already sold out when I checked mid December. The extra benefit of the party was access to the Opera House Northern Foyers which have terraces providing 180 degree uninterrupted views of the Harbour Bridge and surroundings, free flow of drinks….and birds eye view on the Lord Mayor’s New Year’s Eve party! I called the Sydney Opera House ticket desk on the morning of December 30th and boy was I excited to learn they had exactly 1 ticket left for the Midnight Party! Apparently a number of tickets get booked but not collected in due time and are released again. 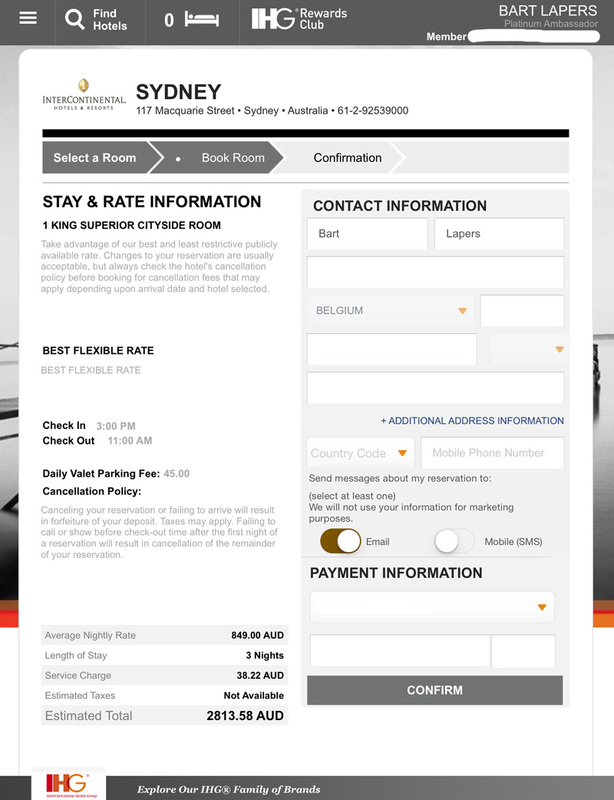 Add an additional 279AUD (€192) for the Midnight Party and my total for the night was 543AUD (€373)… an expensive night out in Sydney! The Sydney Opera House Northern Foyers vantage point offered amazing views, but to be honest, my experience of the New Year’s Eve fireworks in London in 2012 was more intense. In fact, those were the most spectacular fireworks I ever witnessed. Aron, an Australian friend of mine whom I got to know at the Athens 2004 Olympics, invited me to join him and his friends for some boating at the Sydney harbour on New Year’s Day. Also present was Microsoft’s co-founder Paul Allen with his super yacht Octopus. Thanks for the awesome day on the water Aron, Adrian, Josh, Christine & friends!